Born in 1977, Tom Hardy was just a wee lad when filming began on Mad Max, the post-apocalyptic classic that paved the way for Mad Max: Fury Road. 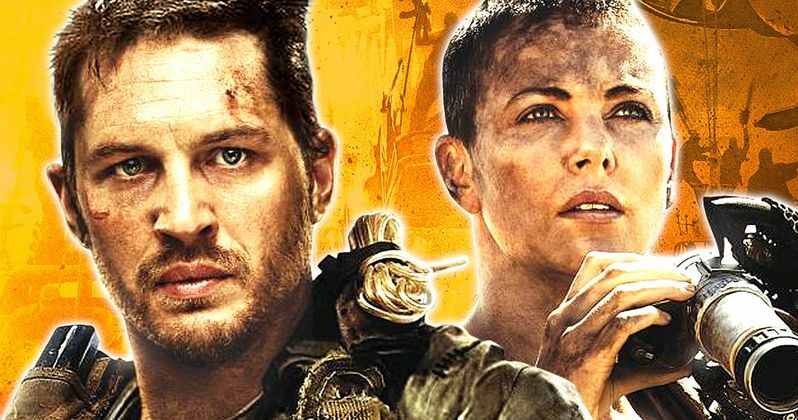 With Charlize Theron in the lead alongside the largely silent title character, Fury Road won six Oscars and was nominated for four more, including Best Picture and Best Director. Here we take a look at 10 things you never knew about Mad Max: Fury Road. Fury Road was many years in the making. George Miller directed Mel Gibson in the star-making original and its sequel, Mad Max 2: The Road Warrior. He co-directed Mad Max Beyond Thunderdome, which arrived in 1985. It would be 30 years before Fury Road was in theaters. There were a number of production delays and false starts along the way, going as far back as at least 1998. The 9/11 terror attacks postponed a once planned 2001 start date. There was a new script by 2003, another false start in 2006, then 2009, until things finally got moving in earnest in 2012, resulting in the movie we finally saw in 2015. Fury Road was almost animated. Fury Road is rightly celebrated in part because of its daring practical stunts and effects which gives it a visceral realness absent in most modern blockbusters. But the fourth Mad Max film was nearly an animated affair. In a 2009 interview with MTV, Miller talked about his love of Japanese anime like Akira and Ghost in the Shell. George Miller wanted Heath Ledger to play Max. It didn't make sense to keep Gibson in the role. "It's not a story like Clint Eastwood's Unforgiven about an old, aging warrior," Miller told FHM. "Max is supposed to be that universal archetype of the lone warrior searching the wasteland for meaning." In the same interview, the director said Ledger (who died in early 2008) was the only other actor he considered. "Heath, Mel and Tom had the same quality when they walk into the room, a real likeability mixed with a turbulence. It's a wonderful paradox of nervous energy. That's great for an essentially silent character." Mel Gibson gave Tom Hardy and George Miller his blessing. Tom Hardy reportedly had lunch with the original Mad Max and received his blessing before filming. In Fury Road, Hardy wears a near exact replica of the jacket worn by Gibson in Mad Max and its first sequel, Mad Max 2: The Road Warrior. And he of course drives a V8 Interceptor similar to the one driven by Gibson in the last part of the first movie and the first half of the second, 'though it's sadly destroyed. Miller later recounted that Mel Gibson sat next to him at the Fury Road premiere.